After analyzing the market of SIP IP Intercoms, one can ask: why do all manufacturers offer a wide choice of SIP IP Intercom models in a BOX version? 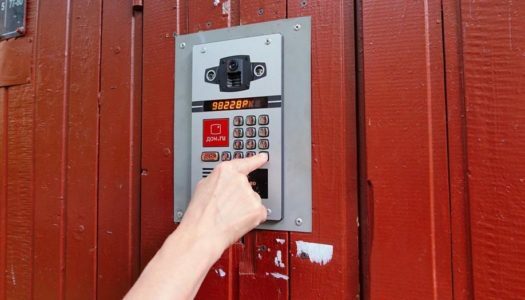 Indeed, in their model range are widely represented and SIP IP Intercoms “all in one.” Most consumers will find that such devices are much easier to install. They do not need additional costs for the selection and purchase of a lens, backlight, bracket or thermal jacket. But for a professional, it will not be news that the advantages of universal SIP IP Intercoms may turn into their weaknesses. Often, a model with pre-installed peripherals has a number of drawbacks, namely: less reliability and temperature stability compared to the SIP IP Intercom in the housing, a problem image during precipitation with the backlight running, the reflection of the built-in backlight from the SIP IP Intercom elements and design, etc. Flexible adjustment to the conditions of the external environment and the provision of guaranteed high-quality video surveillance, professional users can be provided just due to the use of various components: a lens, external lighting and a heating system. 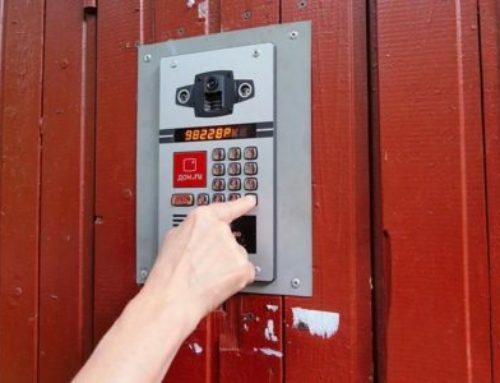 Also, the use of BOX SIP IP Intercoms opens up a wide scope of selection of parameters and cost of equipment for a specific project. For example, depending on the desired angle, the user can select a lens with the desired field of view. 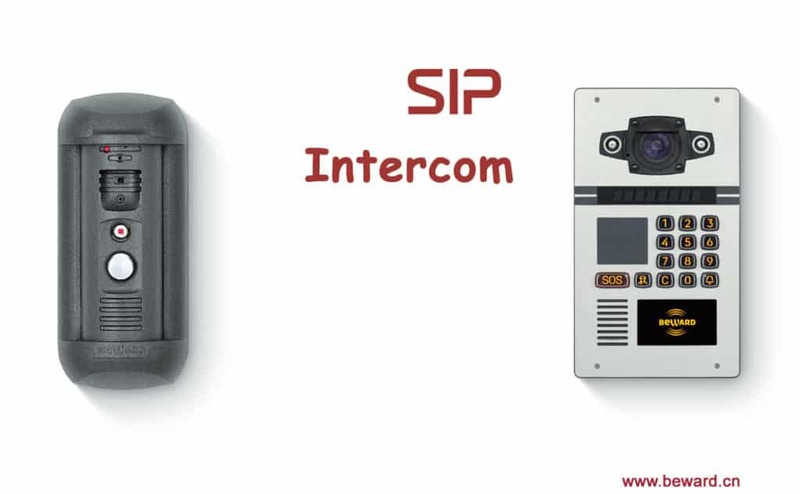 In addition, the SIP IP Intercoms can be placed in a sealed housing, which, moreover, can be adapted for special tasks: for operation at extremely low temperatures, for wireless data transmission, data transmission over a very long distance via fiber-optic communication channels, and to provide various types of food. In the line of many firms, multi-megapixel SIP IP Intercom models with resolution values up to 12 Mp are already represented. Of course, such Intercoms are used in specific projects and such a decision cannot be called a budget. The main niche of the market is gradually filled with SIP IP Intercoms with a resolution of 4 MP, while the average value is growing from year to year. Theoretically, in two SIP IP Intercoms with matrices having similar size and quality (production technology), a model with a lower resolution would have greater sensitivity. Progress does not stand still, and the sensitivity of high-resolution SIP IP Intercoms gradually increases, but the described trend remains. Laboratory CCTVlab previously tested multi-megapixel SIP IP Intercoms with a resolution of up to 4 megapixels. It became interesting to us, and what characteristics will show SIP IP Intercoms 1.3 – 3 Mp, whose range of products from leading manufacturers is continuously decreasing. But these models are essential for business and security systems, due to the low overhead of integration (cheap video servers, optics) and excellent quality for their respective tasks. Companies were invited to choose the SIP IP Intercom resolution for testing in the range of 1.3 – 3 Mp. 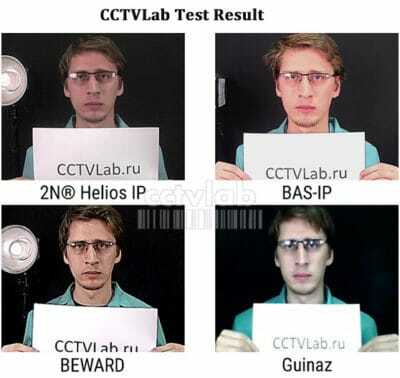 The test includes models, with which no specific lenses are offered. This allows the user to select the desired parameters for the established requirements for the video surveillance system. Availability of mount for C / CS lens. There is an opinion that the quality of a SIP IP Intercom determines its sensor, and, knowing the model of the sensor, we can assume the capabilities of the device. This sounds realistic, since it is the matrix that is responsible for the image being formed. But, according to the experience of the laureate, in addition to the matrix, the processor and the quality of the settings of the bundle matrix – processor have a significant impact on the resulting detail. That is, the model of the matrix can be judged on the maximum theoretically possible abilities of the SIP IP Intercom, which are implemented in practice, most often only from famous brands. For the analysis of the considered devices, parameters were chosen, the test method of which is not standardized in any way and is not specified by the developers. The values themselves are highly dependent on external conditions and equipment settings. Therefore, the equality of the values of these parameters from different manufacturers do not guarantee the same technical characteristics. 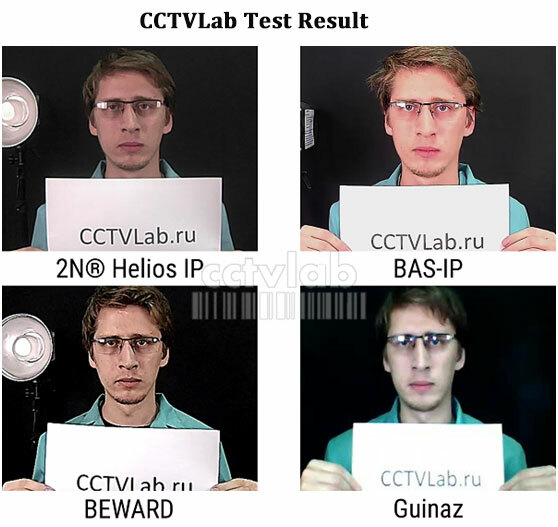 And it will be extremely difficult for the consumer to compare different models with each other already at the design stage of the video surveillance system. The ability of the SIP IP Intercom to provide the necessary detail when shooting a dynamic scene in low light conditions was investigated. 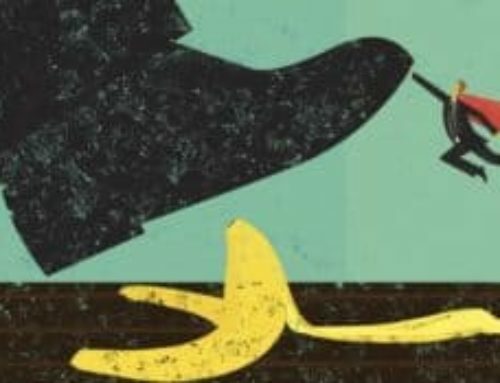 The magnitude of sensitivity indicated by manufacturers is often copied from the parameters of the matrix, and has little to do with the actual characteristics of the device. 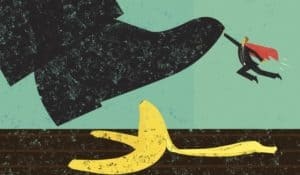 Therefore, the technical passport of the SIP IP Intercom will not be able to help the buyer with a choice between competitors (unless it allows for a rough assessment of products within the range of one manufacturer). 1. Light levels, when the SIP IP Intercom resolution is 50 and 75% of the maximum with a high light level. Each SIP IP Intercom was tuned to maximum sensitivity mode. It is measured in the “day” mode and in the “night” mode separately. 2. Resolution of the SIP IP Intercom at different levels of illumination in the “night” mode. Measurements were carried out at illumination: 2, 0.1, 0.01 lux. An example of an image from a SIP IP Intercom on which 50% of its maximum resolution is stored. All devices were tested under identical conditions with the same lens in order to achieve the highest possible objectivity of the results. Leader in sensitivity when shooting dynamic objects: shooting a dynamic scene with 75% resolution at 4.9 lx (15.7 lx in day mode), with 50% resolution at 0.3 lx (0.5 lx in “ day”). 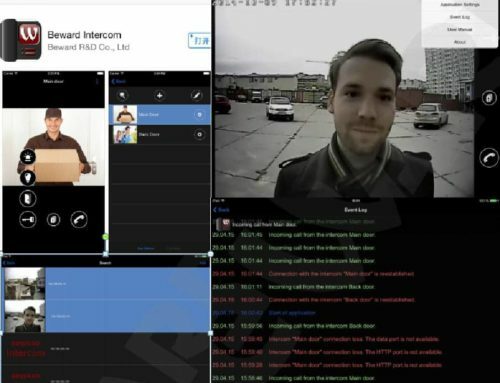 The SIP IP Intercom showed excellent results in low light conditions of 0.1 lx: the actual resolution exceeded most other SIP IP Intercoms (500 lines). 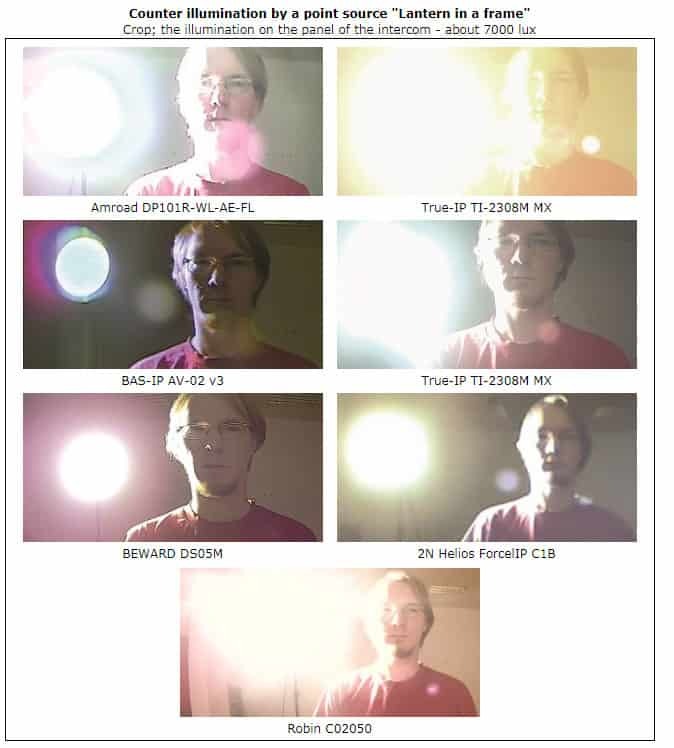 It is one of the leaders when shooting at 0.01 lx illumination: the resolution is 333 lines. The only manufacturer that provided a 1.3 megapixel CMOS sensor for the test 1/3. The model is positioned as the most affordable solution of BOX – format in its line, providing a clear image even in low light conditions. 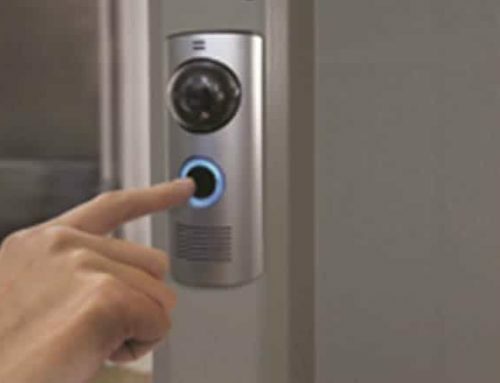 The SIP IP Intercom has a built-in motion detection with an adjustable level of sensitivity. 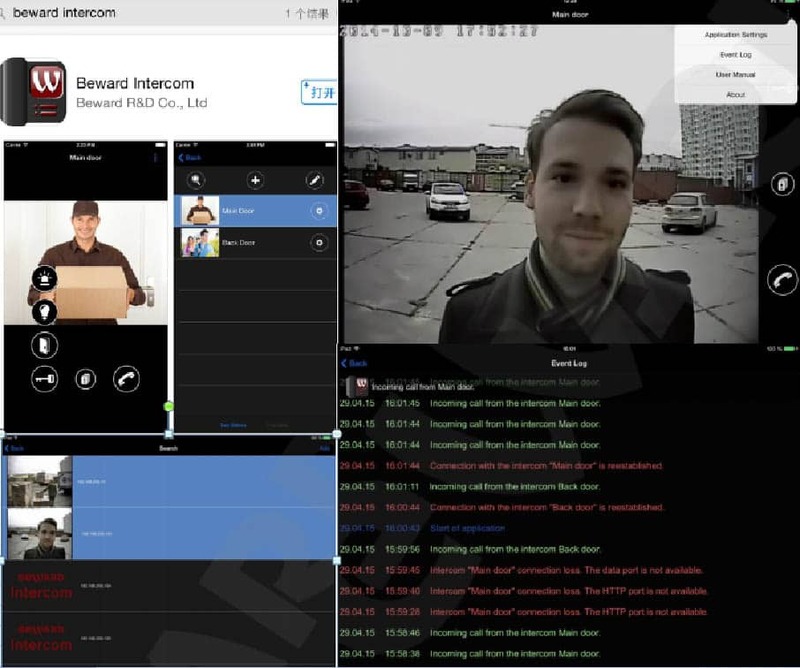 Implemented support for ONVIF protocol. The device has audio input/output connectors, alarm contacts and has the ability to connect, in accordance with the RS485 interface. Included with the device is attached free professional software for 36 channels. Also, the manufacturer claims that there are additional options in the model range that allow wireless data transfer over a Wi-Fi network and 4G mobile data channels. SIP IP Intercom Resolution, Mp Frame size, px Sensor size Frame rate at maximum resolution, fps Extended dynamic range, WDR Declared retail price, rub. Fig. 1. The levels of illumination at which the Intercom provides 50% of the maximum detail. Less is better. 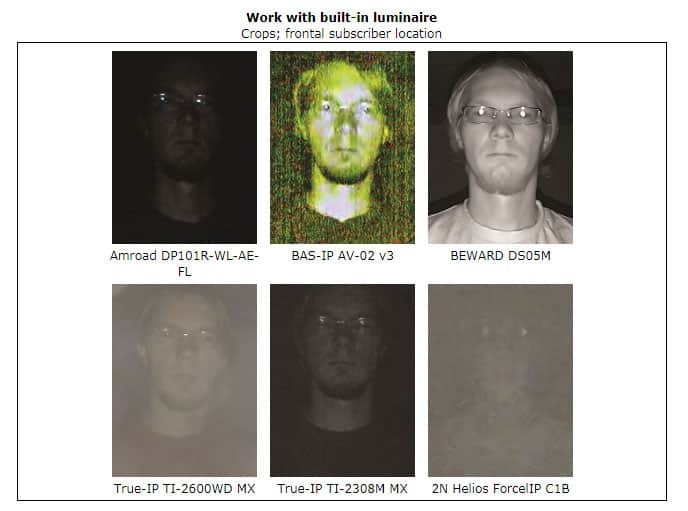 In the experiment, we observe an interesting phenomenon: on the sensitivity graph there is a point of intersection of the detail curves, after which the Intercom with a resolution of 1.3 Mp matrix shows greater detail than Intercoms with a resolution of 2 Mp (except for Intercoms with 1 / 1.9 sensor). This, apparently, is due to the presence of noise in less sensitive Intercoms, which blur the picture and reduce the detail. The larger the pixel size, the more the matrix captures the light, thus showing better sensitivity in low light. That is why instances of 2 MP Intercoms with a sensor of 1 / 1.9 occupy a leading position in sensitivity when shooting a dynamic image. Despite the fact that in this experiment, the fall to 75% of detail for some reason occurred somewhat earlier than for other SIP IP Intercoms, their absolute resolution is the greatest in low light. Is there a future for low resolution SIP IP Intercoms? Comparing Intercoms with the same matrix size (in this test it is 2 and 1.3 Mp), we see that a lower resolution allows for much greater sensitivity, at the same time as a noticeable reduction in price. Apparently, this is due not only to the large pixel size, but also to a decrease in their number, which leads to a decrease in the area of “dead zones” between the pixels (and, accordingly, to a decrease in losses in them).